Jeremy Hunt – The worst Health Secretary since the last one. Jeremy Hunt is the Health Secre….Jeremy Hunt is the H…. Nope, sorry. Can’t say it without gagging. It’s not as if the guy had some sort of high benchmark to live up to. His predecessor was some complete and utter Lansley who forced through a massive, untested reform programme that the electorate didn’t vote for and the professional bodies didn’t want, on an NHS that’s in no financial state to undergo restructuring. Surely the next guy had to be an improvement. Enter Jeremy Hunt, stage right. Everything about him embodies the worst of Cameron’s posh-boy cabal of unearned privilege and blatant careerism. A Charterhouse-educated son of an admiral; an alumnus of the Oxford University Conservative Association (a body whose nastiness was exposed in all its vainglory in Young, Bright and on the Right); with a background in PR and management consultancy before landing in a safe Tory seat; an expenses sponger; a tax dodger; a shameless promoter of nepotism. Oh, and his background and qualifications in health? Zero. 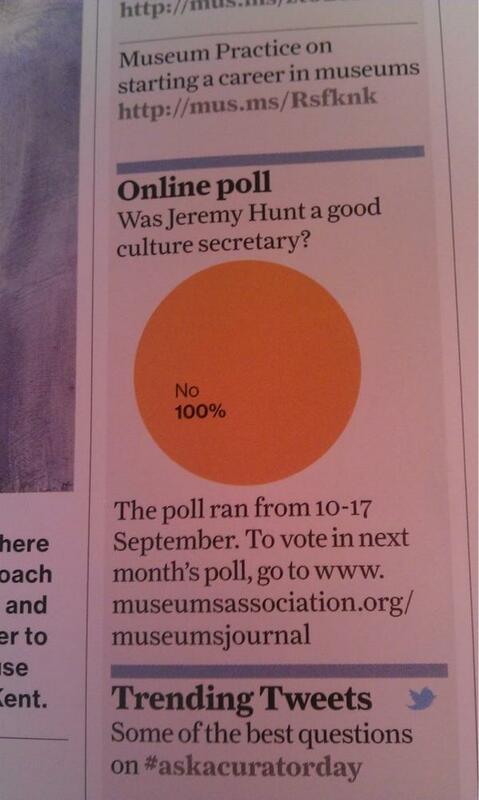 Still, I’m sure he did a good job as Culture Secretary. Yesterday, he kicked off a storm by declaring his view that the time limits on abortion should be cut to 12 weeks. I can find little to say on this that hasn’t already been said by Dan Hodges in the Telegraph. A reduction in the abortion limit to 12 weeks would create a social – and public health – catastrophe. A significant number of women, especially teenagers, are not even aware they are pregnant after 12 weeks. None would have even had their initial scan conducted. How is a woman supposed to make a mature, rational – and morally balanced – decision on whether to continue with their pregnancy within such a timeframe? A potentially life-changing choice would be reduced by statute to a race against the clock. Then there are the politics. However much Hunt deserves praise for his candour, he deserves to be hauled over the coals for his stupidity and self-indulgence. He must know that David Cameron took a political risk in transferring him to such a high profile brief in the wake of his Leveson travails. And he’s chosen to repay him by derailing the Tory conference locomotive before it has even left the sidings. It’s been made clear that this is not a policy decision and we’re not about to see a cut in the abortion limit. So why did he suddenly come out and say this to kick off a firestorm? One possibility is that he’s trying to hijack the Conservative Party conference in order to import US-style culture wars into Britain. Yes, because we really need those. Another possibility, much-discussed on Twitter, it that he’s generating a fury in order to bury this story beneath the shouting. One in 10 accident and emergency departments has either closed recently or could shut in the near future, while a similar proportion of labour wards is at risk. Significant numbers of children’s units, surgical departments and wards for the elderly are also being considered for closure or downgrading, the analysis of England’s 300 acute hospitals found. Almost all those at risk are part of major plans to reorganise services and prune back departments to concentrate staff and resources at bigger hospitals. Jeremy Hunt has achieved the near-impossible. Not only has he made himself as atrocious a health secretary as Andrew Lansley, but he’s done it in just over a month after taking office. This entry was posted in health, politics and tagged abortion, health, jeremy hunt, politics. Bookmark the permalink. The ovine masses are getting their just deserts, while Branson gets the NHS. Don’t worry, it’s not really happening and you’ll soon wake up.